Lets hit the ground running in 2016. New Year, new start and what a perfect way to kick off proceedings that with this healthy granola, fruit and yoghurt pots recipe, a lovely morning or mid afternoon snack! It’s fast to prepare, filling and super tasty, what more do you need? 1. Heat oven to 150ºC. 2. Mix the coconut oil, maple syrup, honey and vanilla in a large bowl. 3. Tip in all the remaining ingredients and mix well. 4. Spoon the granola onto two baking sheets and spread evenly. 5. Bake the granola for 15 mins, stir and bake for 10-15 mins more. 6. Remove and scrape onto a flat tray to cool. 7. Serve layered in a serving glass with natural yoghurt, kiwi and blueberries or any fresh fruit. Shane Smith from Lavey in Co. Cavan has extensive national and international experience within the Hotel, Restaurant and Confectionery industry. He started working as a chef at the age of 16 and trained in Killybegs Tourism College, Donegal. 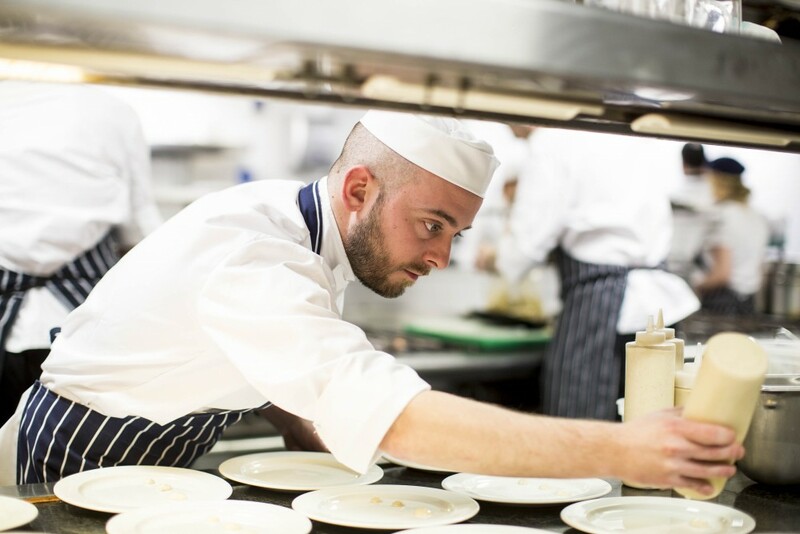 He has worked with some of the most talented chefs in Ireland and abroad where he gained the experience to run many pastry sections in high end establishments, including Knockranny House hotel Westport, The 5* G Hotel in Galway and currently Head Pastry Chef over the Fallon and Byrne group in Dublin. Shane is also the In-House Chef for Coole Swan Irish Liquor, doing recipe research and development & to date has published six cookery books with the company. Most recently Shane has demoed in John Lewis in London and was picked as one of the top 5 chefs in Dublin to demo and cook for the launch of “Dine in Dublin”. Shane has also recently featured in the Sunday Business Post, Image magazine and has a monthly recipe column in the Anglo Celt newspaper in his home town of Cavan.